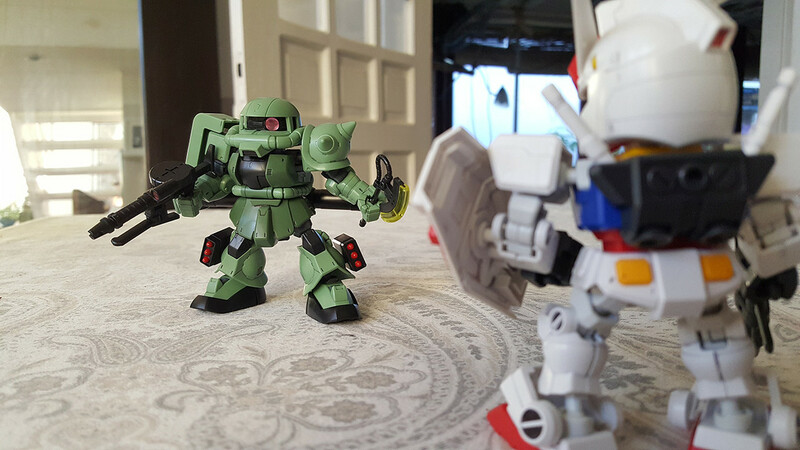 Gjallarhorn's political intervention into the Arbrau central parliament escalated into an armed conflict using mobile suits. 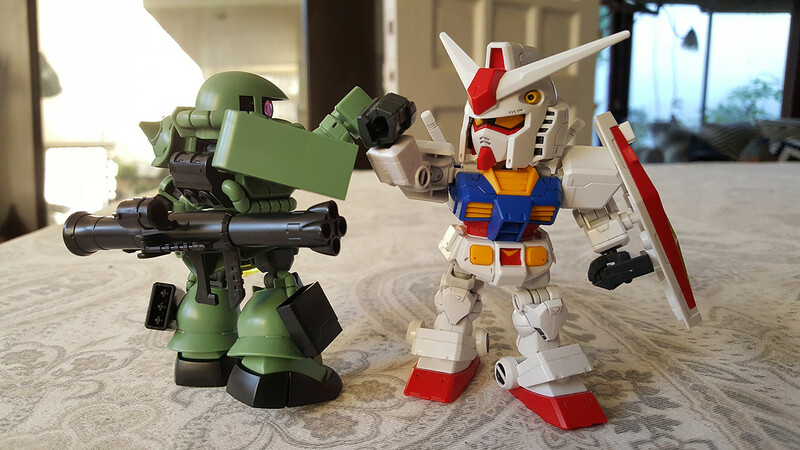 The incident was brought to an end by Tekkadan, a group of boys who came from Mars. News of Tekkadan's exploits has also reached the ears of Wistario Afam, a youth born and raised at the Radonitsa Colony near Venus. Venus, which lost to Mars in the contest for development, is a remote frontier planet in which the four great economic blocs show little interest. It is now used only as a penal colony for criminals, whose inhabitants don't even have IDs. Then Wistario, who hopes to change the status quo of this homeland, encounters a girl who claims to be the guide to the Urdr-Hunt. Edited by HomelessOne, 06 January 2019 - 08:11 PM. 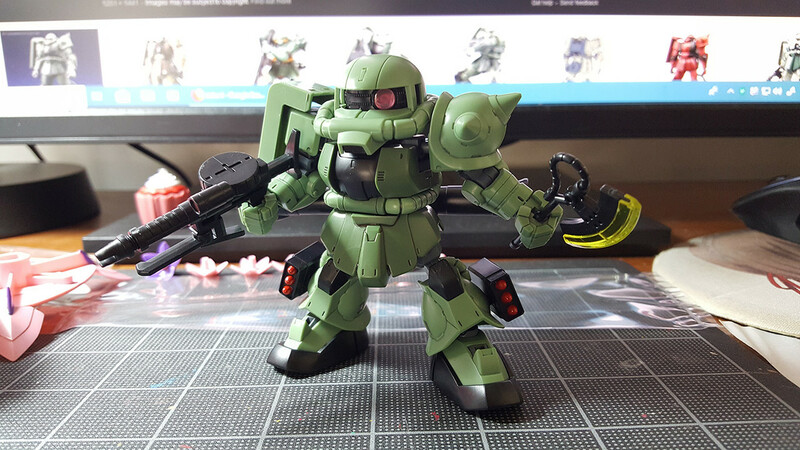 The SD Zaku is adorable, and I want to buy more of it. After typically spending several non-continual days on an HG, it's kind of refreshing to have been able to churn this guy out in just one day. Also, I finally remember what specific piece of media these proportions reminded me of: MS Saga for the PS2 - which I now kind of regret never playing, since based on the playthroughs I found on YouTube I think I might have enjoyed it. The modularity of the SD/CS frame even means that that game's MS customizability is emulated from the get-go! My only gripe about the CS line: I will eventually amass an army of these squat robot skeletons, with not much use for them. Edited by Demovere Xeno, 07 January 2019 - 04:48 AM. Straight build of the Gustav Karl. ...That thing's a mass-produced unit? Well it was originally from "Hathaway's Flash". All the MS's from that are pretty damn overpowered, culminating with the Xi and Penelope. 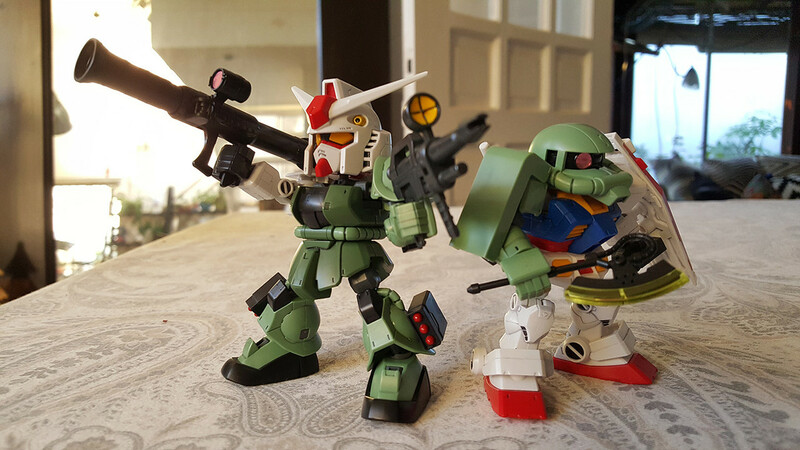 There is a reason that MS's were shrunk after that, well besides the issues with the kits that necessitated the size change in the story. Jegan D-Type as a P-Bandai release. I am excited for this. Hathaway's Flash has really needed an animated adaption considering how important it is in the timeline, and it has some really interesting MS's in it too. I wonder how much it will be different from the original novel. The novel was a direct sequel to the CCA novel, and that meant there were already some things that were a bit divergent from the CCA movie to start with. Wow. The Base Jabber in the first 30 seconds looks like Ray Smuckles making a motorcycle jump over Mount Everest. Not promising. More ominously, though, apparently the writer did... Build Divers. I don't know. Thirst for Ayame pushed ME on a rampage. Built Figure-riseMechanics Haro. This is a really nice kit, understandably outclassing the smaller ones released on back of Build Divers. 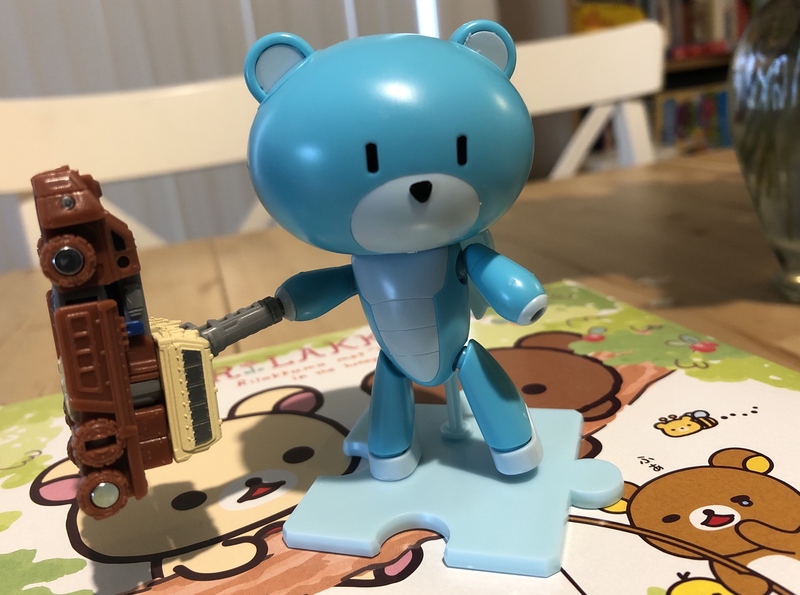 The newly Okawara designed inner frame is goofy but Bandai have delivered a great representation of the Gundam mascot. 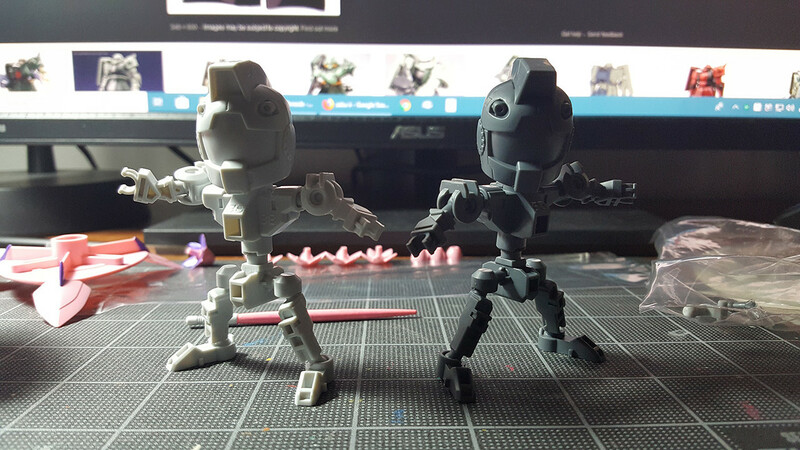 You actually get an alternate transparent shell to display the inner frame and the kit can add a separately sold LED unit. Figure-rise really seem to be Bandai's A game. Okay I don't even know what a gunkblam is, but oh my. Stumbled across a bunch of these little guys yesterday and they are so cute and so fun and so cheap. This first guy is a little rough around the edges (literally hahahahahaetc) but half way through I bought some remarkable sprue-murderers and now every cut is a perfect work of art that feels like being hugged by a bubblegum-scented puppy dog. Like, I just want to cut things off sprues all day. Stumbled across a bunch of these little guys yesterday and they are so cute and so fun and so cheap. Good news, you just became a Build Fighters character. Here comes a Maganac. 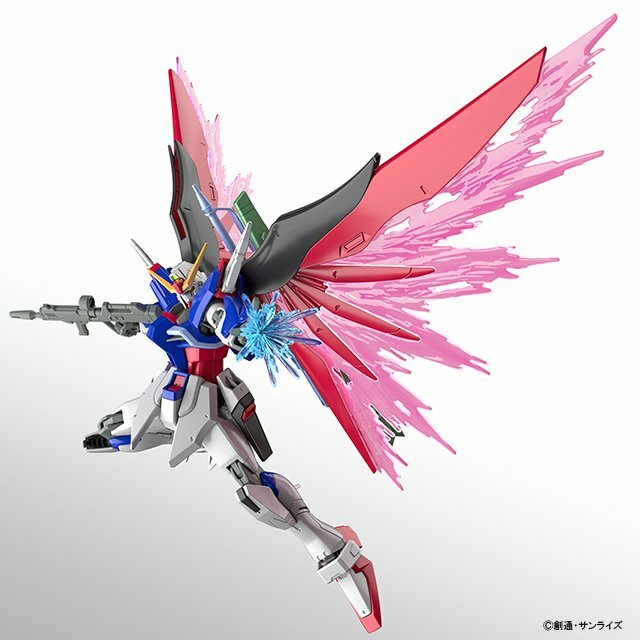 Let's predict how many P-Bandai releases it leads into. Another kit for Narrative. It's shown up in trailers but the exact name is a bit of a spoiler. 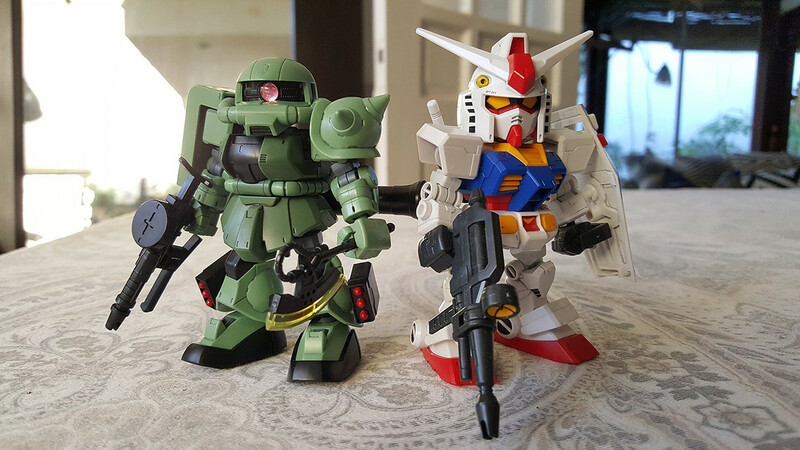 If you're just going for minimal work, may I suggest getting the panel-lining Gundam Markers? Black will work for general use, but you can also grab the Gray and Brown ones to make the lining more subtle: gray for light-cool color plastic, brown for warms, and black for darks. Oh, also get a hard rubber eraser - preferably one with sharp corners. You can use it to erase the excess ink from the panel lines to clean up your work. Wing sure is getting quite a bit of love lately. HG/RG Sandrock incoming? Also, the two Sisquiede CS look pretty interesting. Betting a version of this is in Build Divers season 2.